Ciabatti: "Bautista is an option for WorldSBK"
With the 2019 rider line-up still very much in the air for many teams, Ducati Corse's Sporting Director Paolo Ciabatti has confirmed today that current MotoGP™ rider Álvaro Bautista is an option for the Aruba.it Racing – Ducati team for 2019. 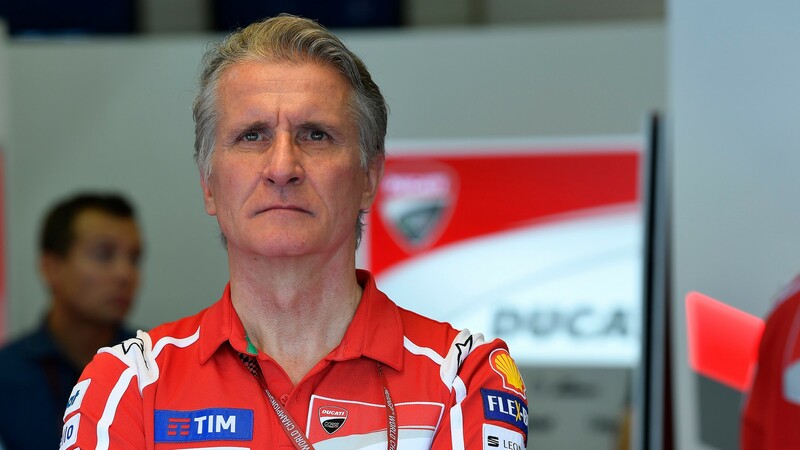 Speaking on-air to Motogp.com pit-lane reporter Simon Crafar at the Austrian GP, Ciabatti commented that: “Alvaro is one of those options we would consider for next year’s team with the Panigale V4”. The Italian added that a decision will not be made for “another week or ten days”. For now, no official confirmation has been made on which two riders will ride for the Italian team next year, with Chaz Davies and Marco Melandri (Aruba.it Racing – Ducati) the current pairing and since 2017. Catch all the action from the MOTUL FIM Superbike World Championship thanks to the WorldSBK VideoPass.